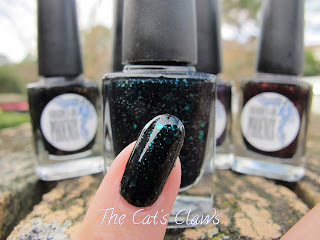 The lovely Sophie from Femme Fatale Cosmetics recently sent me two nail polishes to review, the first review can be seen here. This then is my second and I really can't explain why its taken me so long to get around to Cirque Vesuvius. 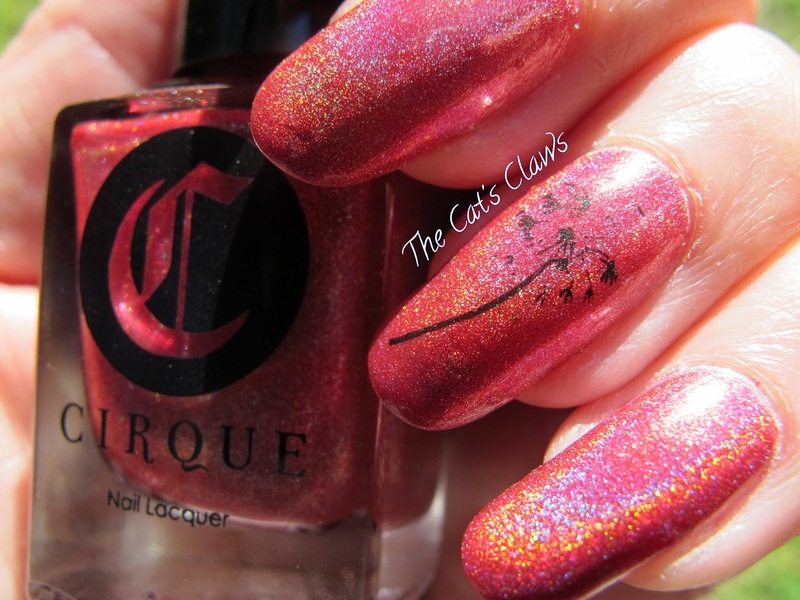 This is my first experience with Cirque polishes and it definitely won't be the last because the minute the brush hit my nails I knew this polish was going to be epic, and I was not disappointed either. On to my mani then three coats of Cirque Vesuvius a beautiful strawberry holographic colour, two coats would have been more than enough but I did three as more is more allegedly! You can also see I was playing around stamping Kleancolor Metallic Black (I'm afraid my skills are not the best). 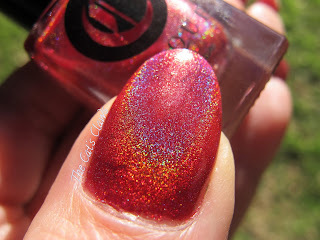 Topped off with one coat of Seche Vite which did not dull the holographic flame at all! 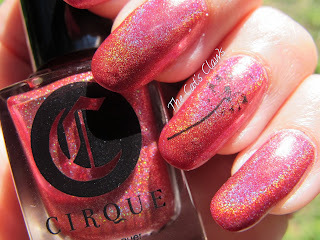 If you would like your own Cirque nail polish then visit Femme Fatale Cosmetics besides the excellent service you will receive from Sophie you can also satisfy your lemmings for many other Indie polishes along with her own line of polishes which are all just gorgeous (of which I have a fair few myself). Now you must all have seen crazy paving surely? Or perhaps its just a British thing? 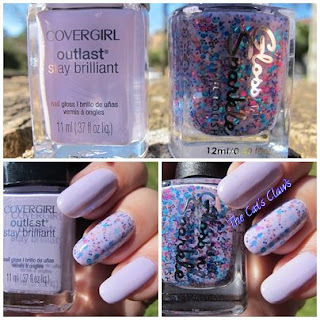 I was actually intending to do something else but these looked super cute and I kept this mani on all week! 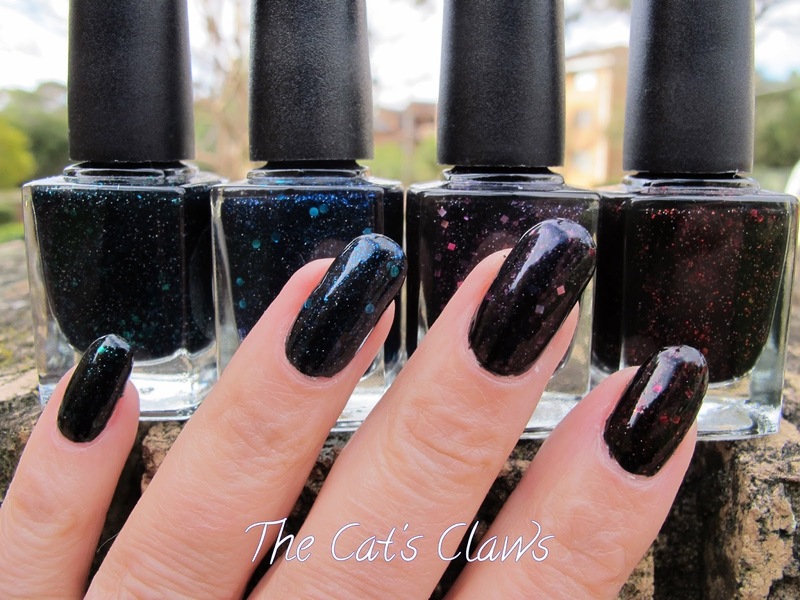 And this mani got more than a few comments especially from the men thinking that this mani would have taken an age to do. 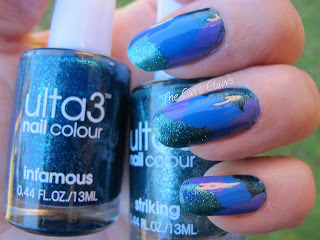 When in fact it was super quick just sploshing on the colours and not being particularly careful with placement. For this effect I used two creams and two glass flecks in sort of similar colours. 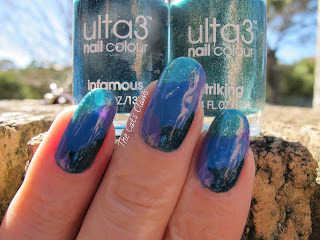 The new Ulta3 Infamous a deep turquoise glass fleck and absolutely stunning. 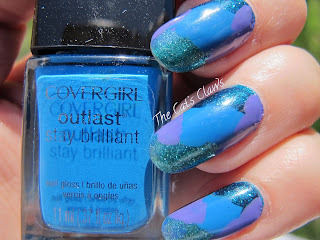 Covergirl Out Of The Blue and Vio-last. The Covergirls were one coaters, but I did two out of habit. 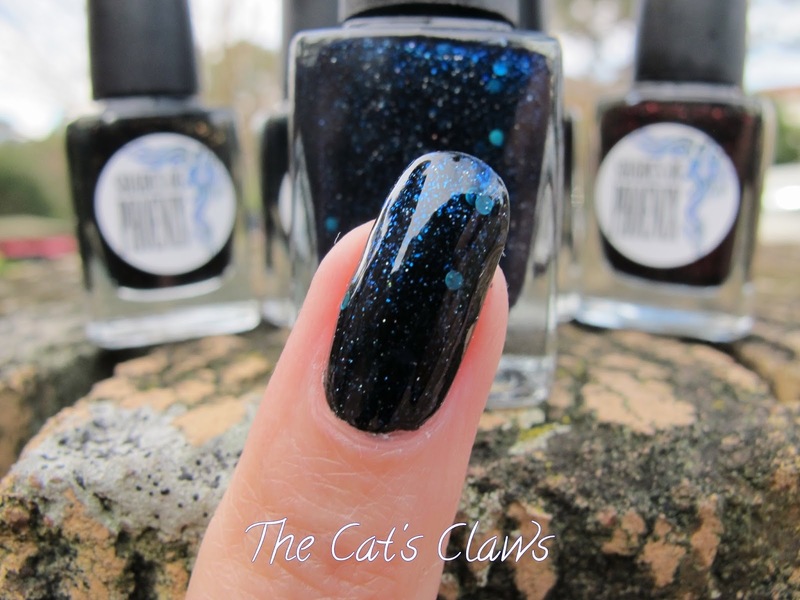 And then a topcoat of Seche Vite. These sunlight pictures show very strongly the demarcation lines, but in real life the colours blended together much more and the overall effect looked more complex. 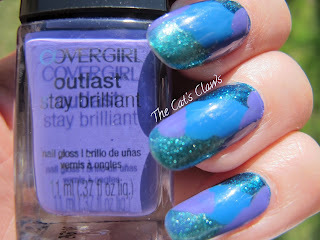 Just a super quick post today featuring Gloss 'n Sparkle Sleepy Head and Covergirl Lav-endure. My local supermarket had loads of Covergirl polishes for $2 each so I bought far too many! 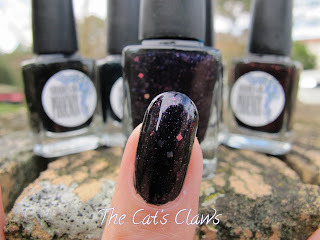 And I have had Sleepy Head a beautiful lavender base with turquoise and fuchsia dots, small lavender and pink hexes and tiny purple dots for so long sitting in my untrieds, I thought it would make a welcome change to all the dark polishes I have been wearing lately. 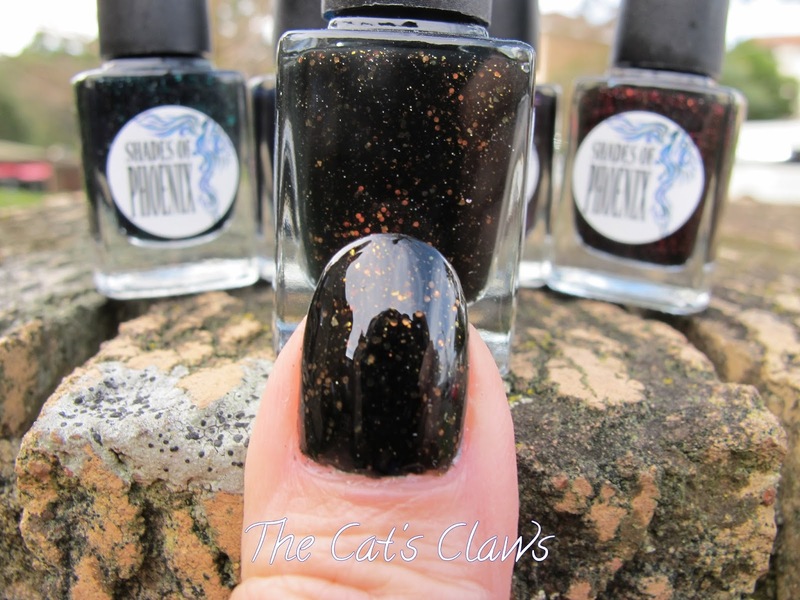 Plus this polish is perfect for the beautiful weather we have been having lately. For my mani I used two coats of Lav-endure and then two coats of Sleepy Head on my ring finger followed by a Seche Vite top coat, although really the Covergirl polishes do not need it they are so glossy. 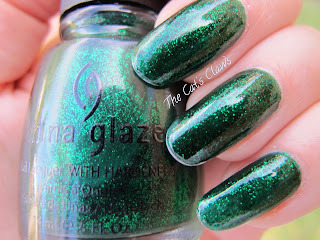 After all the delicious greens I have been showing you (Shades of Phoenix Morsmordre, Girly Bits Emerald City Lights and Picture Polish Peacock) I thought you would like to see one more before I move on to something else. And this is China Glaze Emerald Sparkle, it does exactly what the name says Emerald Sparkle! I don't own that many China Glaze's but I'm glad I have this one, the colour is exquisite. 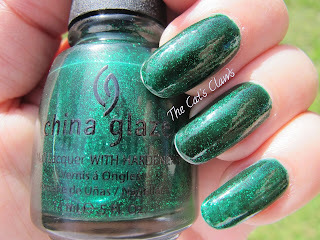 On to my mani then, three coats of China Glaze Emerald Sparkle and one Seche Vite top coat. 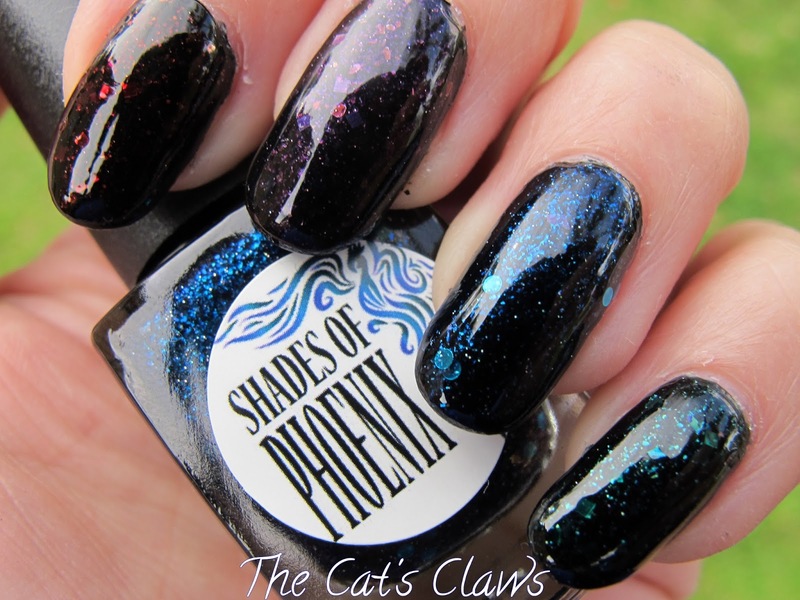 So what are these new super gorgeous colours from Shades Of Phoenix? Well its Teneil's creator of Shades Of Phoenix newest collection "Beware Of The Dark Arts" based on Harry Potter spells! I have a tiny confession to make here, I have not read any of the books or watched any of the films in spite of my husband being a massive fan! (So please don't shoot me if I show some ignorance) All I do know, is that this collection is divine. There are six colours in the collection, but I have only shown you five, the sixth is Imperio which is black with holographic glitter, and I was saving that for its very own post! 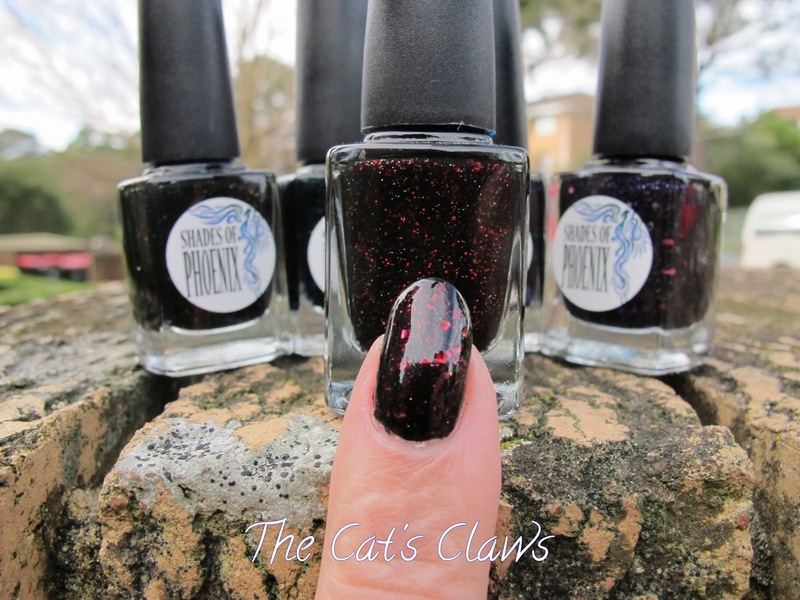 On to my mani then, one coat of Covergirl Black Diamond, then two coats of the Shades Of Phoenix colour and then one quick coat of Seche Vite. 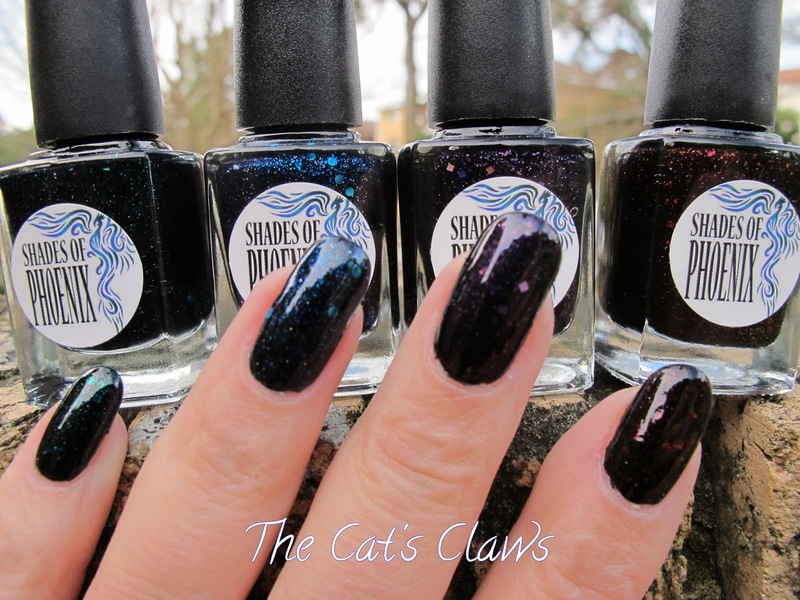 My favourites out of this collection are the green, blue and red and of course the one I haven't tried yet Imperio.